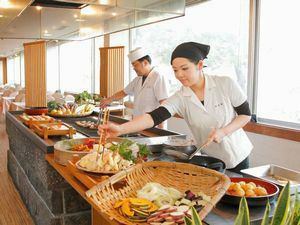 Buffet restaurant "Yomigaeri no Sato" is open for lunch buffet. 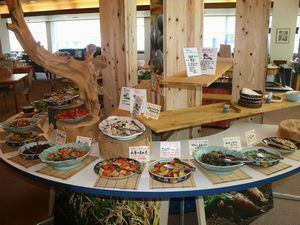 There is also a line of healthy dishes where you can also eat local pesticide free vegetables. 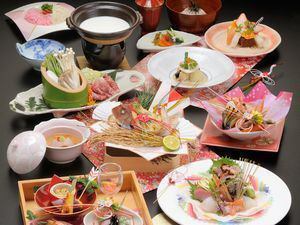 The buffet restaurant "Yomigaeri no Sato" is open for dinner buffet. Snow crab legs are all-you-can-eat until March, and Oyama chicken appears from April. 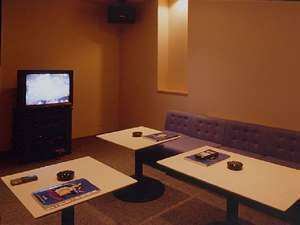 Toukouen also offers lunch reservations. We will prepare food for your purpose, such as a festive seat or a legal seat. 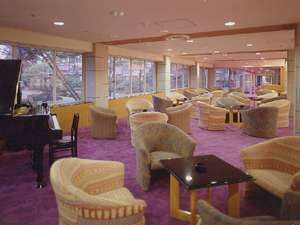 ※Please make a reservation in advance as it may not be received depending on the daytime operation status. 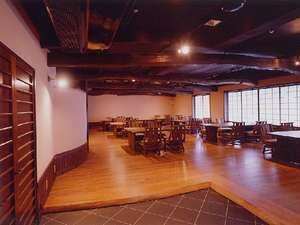 Toukouen also offers reservations for banquet dishes. 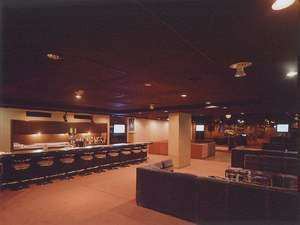 Not only celebration seats, but also seats for entertaining guests can be prepared. 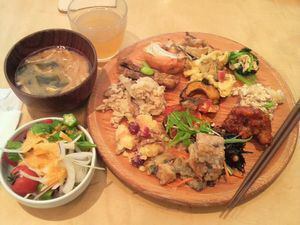 A buffet breakfast is Yomigaeri no Sato, with a morning buffet. Actually, I am also doing breakfast. Use for a healthy day's departure from morning. 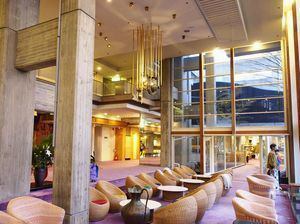 ※We recommend that you make a reservation in advance, as some seats may not be available. One day hot spring also goes in Toukouen. Kaike Onsen the hot spring of Minayu Kaike Onsen, where everyone is born, and relax. 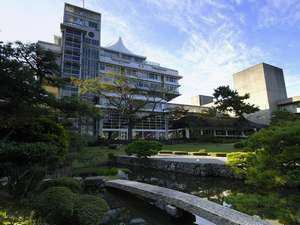 ※Please understand that the cleaning day may change when the house is full, such as New Year and Golden Week (Spring public holidays). 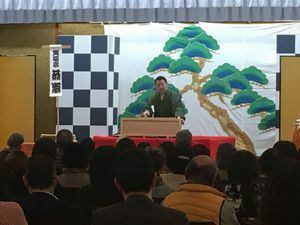 A Rakugo Show that is held at a pace once every three months. 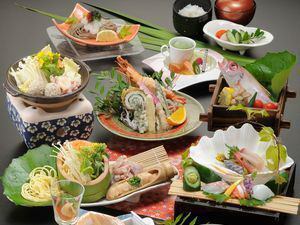 Experience Japanese traditional culture at Toukouen. Let's laugh a lot, let the heart and the body become healthy! 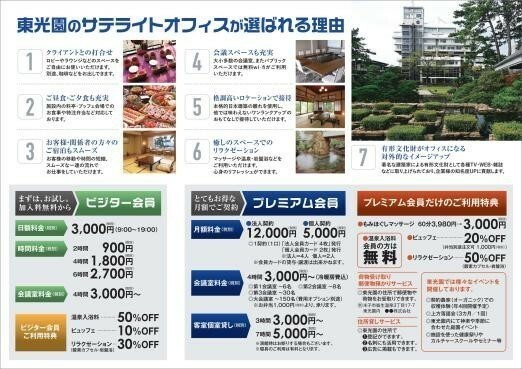 ※We also offer special accommodation plan. 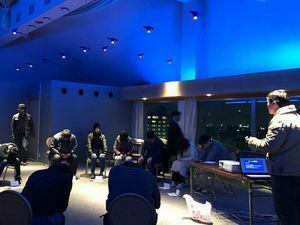 A wolf game conference held about once a month. Atmosphere of night is perfect for the game. 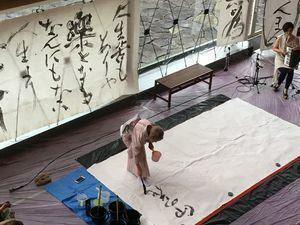 "Life food education calligraphy exhibition" held once a year. 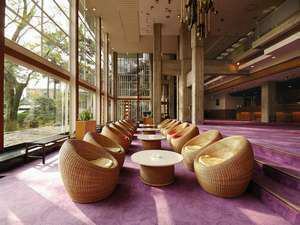 The image is written in the lobby of Tokoen Garden with music, Professor Fukuda Fujisen (Fukuda Bowsein). 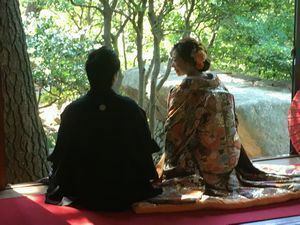 There is a couple who will do wedding related events at Toukouen during warm time. 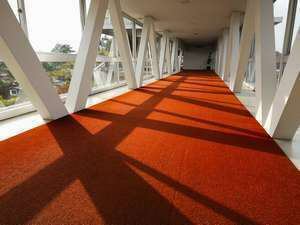 It is also possible to use public ceremonies in the garden and weddings on the 7th floor with a beautiful view. 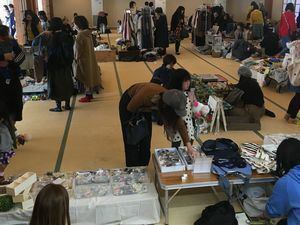 A flea market that is regularly open. 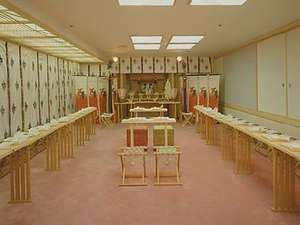 Many shops sell items of their shop using TOKOEN 's banquet hall. ※Please inquire details of opening / participating etc. 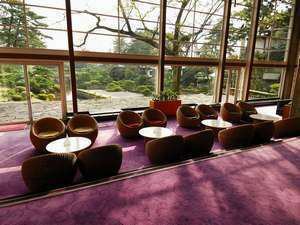 We are setting a tasteful furniture with the villa's Japanese garden behind. 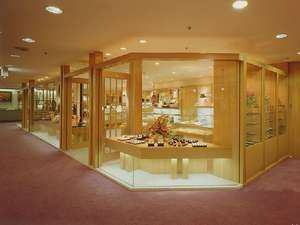 It is a refreshing space where natural light is inserted through the polished window. 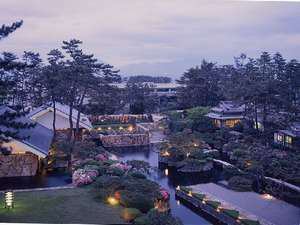 If you take a step forward, there will be a 3,000 pyeong villa's Japanese garden in front of you. If the weather is okay, Oyama looks beautiful. 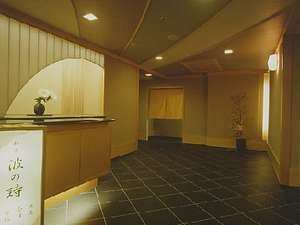 Must see the magnificent exterior you looked at from the authentic Japanese garden! 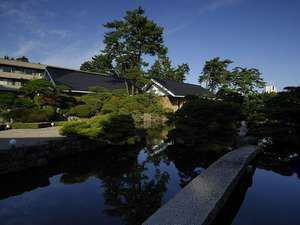 The flow of water in the Japanese garden is an important factor. There are many carp in the pond. Please walk around. 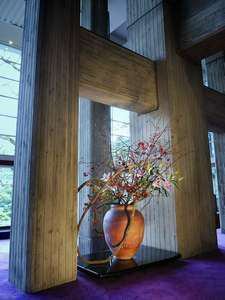 The air garden on the 4th floor is a space where you can enjoy the architecture where the structure of the building (pillar) of architect Kiyonori Kikutake is well understood. Anyone can take a walk. 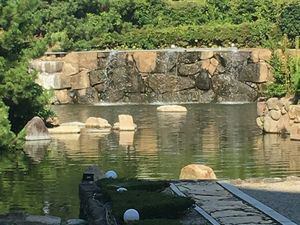 Koi is swimming in the pond and you can experience fish feeding etc. 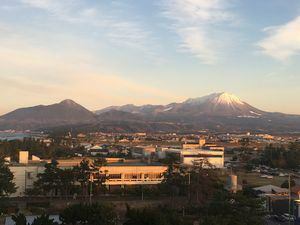 Looking to the right is the Buddhist monk "Oyama (Daisen)". 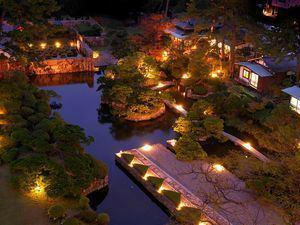 As you get closer at dusk, a fantastic lighted-up garden will show up. 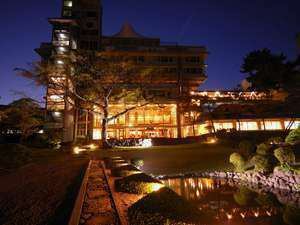 The lighted-up night main building exudes a fantastic atmosphere while being modest lighting. The garden is as beautiful as reminiscent of a movie scene. The main building of the light-up night brings forth a fantastic atmosphere. We can eat up to 6 people in the table chair. Group meals on table chairs are also available. 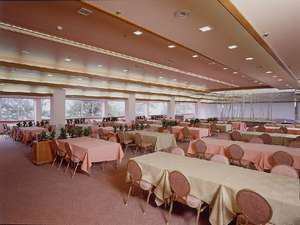 2nd Floor Great Ballroom "Between Oki-no-ma"
Up to about 180 banquets are possible. It is 60 minutes 5,000 yen (tax excluded). 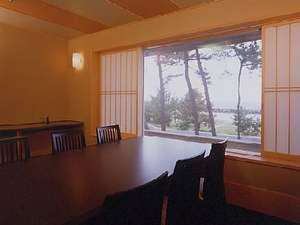 You can stay in the room for up to 15 people. Brown rice coffee etc. You can drink a good drink on your own self. 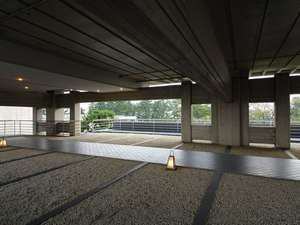 There is also a corner of Oyama and Sakaiminato. 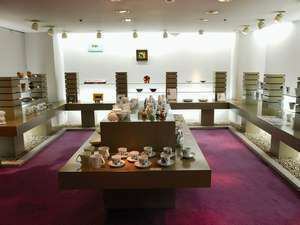 We also offer locally sourced Japanese sweets etc. 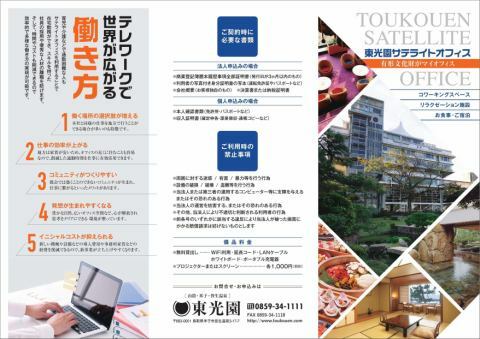 You can also accept wedding ceremonies at Toukouen. 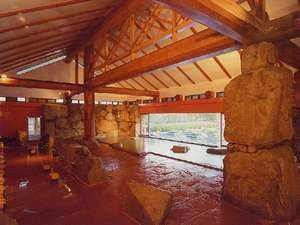 Currently it is under exhibition of the main building "Tendai" certified as a Registered Tangible Cultural Properties.